When businesses look into ways to reduce their office expenses, one of the more tempting options lies in buying a used copier or printer. With office equipment prices frequently ranging into the thousands of dollars, a secondhand photocopier is a temptation for small business and large alike. Likewise, used or aftermarket copiers often work just as well as their new counterparts. 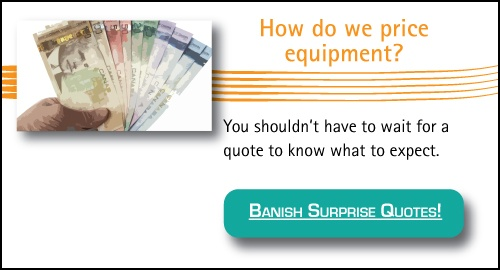 With all of these advantages, what’s not to love about buying a used copier? As with any secondhand item, refurbished office equipment comes with advantages and risks. Here are a few things to consider when making a secondhand purchase. There are several benefits of buying a used copier, but here are the three key advantages you’ll see. 1. You have a lower up-front cost. Like any other used item, refurbished copiers are typically cheaper than the latest models. A dealer may want to clear out inventory or perhaps the device was returned at a bargain price, either case creates an opportunity for you. 2. It’s more environmentally friendly. Any time you buy secondhand, you limit the number of new items produced. This is true in office equipment as well. Buying a used copier could help you your community’s carbon footprint by keeping the device out of a landfill. Ensure you are using it efficiently to maintain that advantage. 3. It’s proven to work. Purchasing a used copier from a reputable remanufacturer comes with the guarantee that the device works. It can be a gamble to buy a new machine with a new user interface or features that may or may not work as your team prefers. A used device, on the other, comes with no unknowns. There are some significant risks of a used copier you should keep in mind. While you might not be gambling with unknown functionalities, you still are taking the chance that you may need to replace it much sooner than expected. Here are a few things to consider which may cut into the initial savings of buying used. 1. Copiers do burn out. Photocopier age is determined by how many impressions (pages) it has printed. This usually means four to five years if the recommended monthly volume hasn’t been exceeded, with some particularly durable models lasting closer to a decade. Keep this in mind when considering a used model. While it may work fine at the moment, are you prepared to replace it in two to three months if it suddenly dies? 2. Spare parts may get harder to find. Most major brands turn over their product line every two to three years, and they’ll keep spare parts around to support older models for a few years after that. However, they’ll invariably phase these parts out and begin raising the price on your service agreement to coax you into buying a new copier. As spare parts and consumables, like toner cartridges, become rarer, they also get more expensive. 3. Used digital copiers have a higher chance of weird electrical problems. Most photocopiers are now digital, meaning their functions are electronic. Just like other electronics, these pieces are highly sensitive and prone to malfunctioning in ways which can make them cheaper to replace than repair. As you’ve seen, used copiers have both advantages and disadvantages. Here are a few more things to note which aren’t necessarily good or bad. Cognizance of these things can help guide you towards the right choice for your situation. Make sure to buy from a reputable refurbisher. Sure, you could probably find a used photocopier at a thrift store, but that’s also asking for any number of things to go wrong. Here are some great questions to ask when considering a seller. Digital copiers have hard drives, meaning they are essentially computers. They’re also a goldmine for hackers. When buying a used copier, double check with the seller about the steps they took to ensure the hard drive is wiped and secure. Many older models have fallen out of use because they’re energy hungry. A copier can use up to 1,300 watts when it’s in use. This can drive up your electricity costs to the point of negating any savings buying used may have created for you. To avoid this, always look for models with energy ratings and be sure you understand the device’s power saving features. Buying a used copier could be a great way to save your business money both up front and in the long run. However, there are many things you need to be aware of to make the best decision. Forewarned is forearmed, and so we’ve covered many of the most significant benefits, risks, and concerns which people face when picking out a new copier. Of course, that still leaves you with the task of determining what you need out of your copier. Check out this article to learn how to get what you need at the price you want.